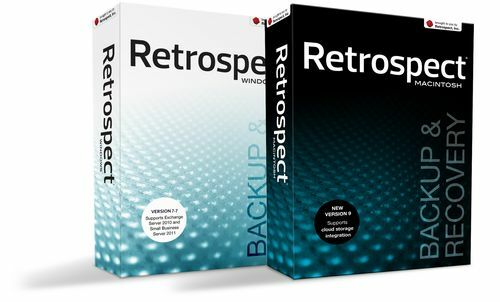 Retrospect, Inc. develops backup and recovery software designed to meet the needs of professionals and small to midsize businesses in need of precise, reliable restores, and the very best customer support available. 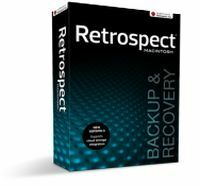 With more than two decades of field-tested expertise, Retrospect Backup & Recovery Software protects Macs and Windows PCs and servers worldwide from data loss due to user error, computer failure or site-wide disasters such as fire, theft or flood. Did you know that 80% of businesses that suffer a major data loss incident close within 18 months? Retrospect 8 backup and recovery software for Windows provides medical offices, law firms, banks, auto repair shops, restaurants, departments in large corporations, universities, government offices and so many others with the peace of mind knowing that their digital assets are safe. WebDAV support allows Retrospect to back up from or to offsite cloud storage. Powerful filtering rules can be employed to allow complete local backups, while ensuring only critical data needs to be copied to the cloud. Retrospect Clients already know what files have been added or changed before the backup server even connects, cutting average nightly backup times in half. The same technology is also used on the backup server. The backup administrator can control access to end-user features like marking private files, running an on-demand restore, or stopping a backup that’s in progress. The Dissimilar Hardware Recovery add-on allows Retrospect to perform a complete restore—including the operating system—to entirely different hardware. The new Retrospect Client software uses the Notification Area to alert end users when backups are starting or have finished. Retrospect supports Mac OS X “Mountain Lion” on Mac client systems and takes full advantage of 64-bit resources. Tell Retrospect how many backups to keep, and it will automatically remove older backups when it needs more space on disk-based storage. This technology allows Retrospect to perform faster, smaller Smart Incremental backups forever. Boot media can be created for nearly every Windows and Mac system protected by Retrospect to provide fast recovery from a non-bootable state. New Retrospect Client software allows each user to quickly backup important files or folders and even run their own restores right from the Desktop. Now supports Windows and Mac clients. Retrospect will optionally encrypt communications between network clients and the backup server using strong AES-256 encryption to prevent network snooping of private information. Now supports strong encryption for Windows and Mac clients. Protects a Microsoft Windows Small Business Server (SBS) and any number of networked Windows, Mac, and Linux desktops and notebooks. This edition includes Exchange and SQL Server agents. Supports disk and tape storage devices. Protects a single Windows Server using local, network, and cloud disk-based storage. *Retrospect Professional doesn’t run on a Windows Server; Retrospect Small Business Server requires Microsoft Windows SBS. Did you know that 80% of most businesses critical data is stored on laptop or desktop computers and not properly backed up? 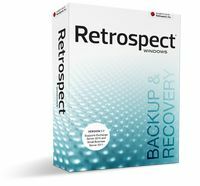 Retrospect 10 backup and recovery software for Mac provides graphic designers, medical offices, law firms, banks, auto repair shops, restaurants, departments in large corporations, universities, government offices and so many others with the peace of mind of knowing that their digital assets are safe. Retrospect supports Mac OS X “Mountain Lion” and takes full advantage of 64-bit Intel processors for the best performance on the latest hardware. Retrospect’s installers and applications are digitally signed with an Apple Developer ID, providing integration with Mountain Lion’s new Gatekeeper security feature. Using Mountain Lion’s new Notification Center, users can be notified when a backup of their computer begins and when it’s finished. New Retrospect Client software allows each user to quickly backup important files or folders and even run their own restores right from the Desktop. Now supports Windows clients. Retrospect will optionally encrypt communications between network clients and the backup server using strong AES-256 encryption to prevent network snooping of private information. Now supports strong encryption for Windows clients. The backup administrator can control access to end-user features like marking private files, running an on-demand restore, or stopping a backup that’s in progress. Now supports Windows clients. *Retrospect Desktop doesn’t run on Mac OS X Server.